Established in 2008, leading European online platform for fashion, shoes, accessories and sportswear Zalando came to the UK in 2011 as part of its strategy to extend its footprint across Europe. Since 2012, the Group has transformed itself into a powerful multi-channel presence with the opening of a Berlin store. A second Zalando Outlet (zOutlet) store, in Frankfurt, has now opened, enabling the brand to meet its customers face-to-face in two major cities. One of the many unique features of this striking, integrated terminal is to completely free-up the space under the touchscreen. Available in several colours, Sango carries brand identity right through to the point-of-sale so is perfect for today’s stylish and fast-paced retail environments. With its 150,000 product lines, Zalando found the Sango i5 to be the ideal choice. 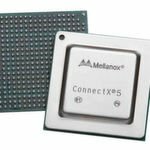 This high-performance platform is capable of managing extensive stock databases with ease. 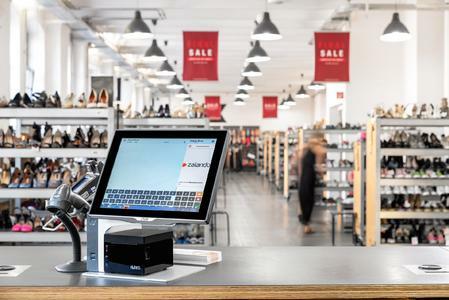 To complement the Sango i5 terminals, Zalando has also invested in AURES ODP 333 Thermal Printers. 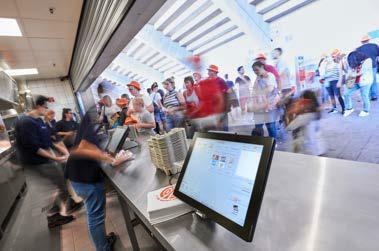 The closed-top design with front-facing receipt print-out ensures long-lasting, trouble-free operation. Its compact footprint enables it to be installed under the Sango’s screen or in the lower drawer. Three interfaces (USB, Serial, LAN) offer future-proof set-up options. The ODP 333, in common with all AURES point-of-sale systems, is energy-efficient (Energy Star certified) and very quiet. Zalando is benefitting not only from AURES trademark 3-year warranty, but also from an on-site guarantee. The latter guarantee means that faults reported by close-of-day can be repaired at the store on the next working day. This Europe-wide service will support the international development of the Zalando’s store network. Zalando is Europe’s leading online platform for fashion. The Berlin-headquartered company offers customers a comprehensive selection of clothing, shoes and accessories for women, men and children, with free shipping and returns. 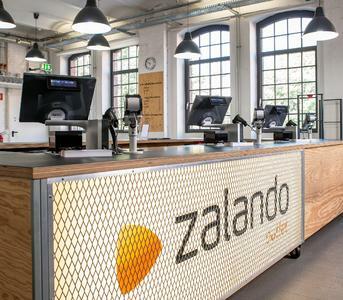 Zalando has more than 17 million customers in more than 15 European markets. 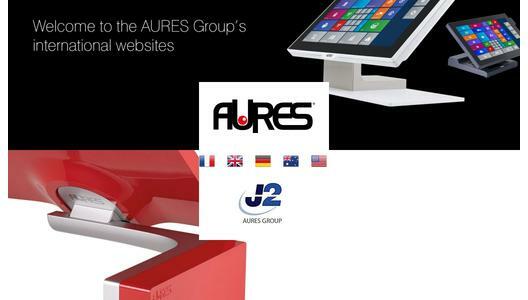 Founded in 1989 and listed on Euronext since 1999, the AURES Group manufactures EPOS systems and related peripherals. 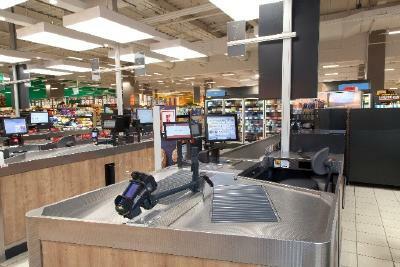 Its PC-based hardware and open-system equipment provides management and point-of-service functions for businesses including specialist food and non-food stores, retail outlets, superstores and catering and hospitality. 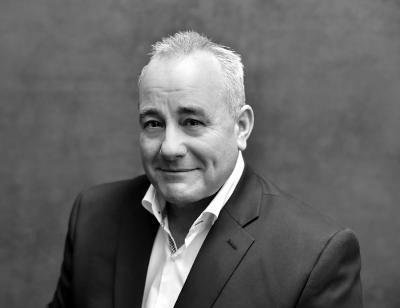 With corporate sales of €76.8 million for 2015, the AURES Group has global presence, with its head office in France, subsidiaries in the UK, Germany, Australia and the USA - and a network of distributors and resellers in 50+ countries.